The Ohio Association of School Nurses (OASN) has agreed that members of the organization must belong to both OASN and the National Association of School Nurses, Inc. (NASN). Membership dues are collected and managed at NASN national headquarters. All of the membership benefits offered to members by NASN are extended to OASN members. What can you do with your OASN/NASN membership? Members always receive special member rates when they register for OASN or NASN annual conferences. Members are also eligible for scholarships and grants. Use the links below to review the wealth of member-only products, programs and services from OASN and NASN. How do I contact the Membership Department? Contact the NASN Membership Department at membership@nasn.org or call the toll-free number 1-866-627-6767. When will I receive my membership card? Membership cards are mailed regularly. You should receive your membership card in the mail within four weeks of the date you pay your dues. Can I print a copy of my membership card? Yes. Download a digital copy of your card. How do I find my NASN ID or member number? Your ID is printed on your membership card. It can also be found in your profile. How do I find my OASN/NASN website username and password? You can request a reminder. If your email is on file at OASN/NASN, a reminder will be emailed to you. How do I get a membership dues receipt? A membership receipt can be found on the Dues Renewal web page. Locate the invoice number on the web page. If the invoice has been paid, click on the invoice number and a receipt will be downloaded. How do I get a membership dues invoice? Membership invoices are released approximately six weeks prior to renewal dates. Invoices can be found on the Dues Renewal web page. Look for the invoice number on the web page. Click on the invoice number and an invoice will be downloaded. Will I receive a membership dues renewal reminder? Yes. Members who pay dues annually will receive an email message when their Dues Renewal Invoice is ready. These members will also receive a reminder email if needed and reminder by print mail if needed. Members who pay dues quarterly will receive an email message alerting them when their dues payment is being charged against the payment information on file with NASN. How do I update the payment information on my quarterly dues installments? The NASN Membership Department will need to make this change. Contact the department at membership@nasn.org or call the toll-free number 1-866-627-6767. How do I renew my membership dues? You can renew your dues online using a credit card approximately six weeks prior to the renewal date. Does NASN accept purchase orders? Yes. When paying a membership dues renewal with a purchase order, print a copy of your membership dues invoice on the Dues Renewal web page and send it to NASN with the purchase order. How do I update my contact details? Go to your profile and find your contact details. Select the "pencil." You will be redirected to a profile form in the NASN database. Apply edits and use the buttons at the bottom of the page to save and move through each part of the from. Be sure to confirm your edits at the end of the form. You will move through several parts of the form to complete the update. When will I receive my first journal in the mail? NASN members can expect to receive their first issue of The Journal of School Nursing or NASN School Nurse approximately six weeks after joining NASN. Can I pay my dues in installments? Yes. Members can select annual or quarterly installments when they initially join NASN. An annual fee of 5% spread out over the membership year is applied to quarterly installments. Automatic payments are charged to the credit card on file with NASN and continue into the next membership year unless the member notifies NASN to terminate the dues. Can I change my billing frequency from annual to quarterly? How do I change my membership category, i.e., change from an Active member to a Retired member? I have moved to a different state. How do I change my state or NASN Affiliate? How do I access journal articles online? NASN's publisher, SAGE Publications, Inc., manages a website where NASN members can read full-text articles from The Journal of School Nursing and NASN School Nurse. To gain access to online articles, NASN members will need to register or sign in on the SAGE Publications, Inc. website and then activate their NASN society account using their NASN ID. Learn more. Yes. 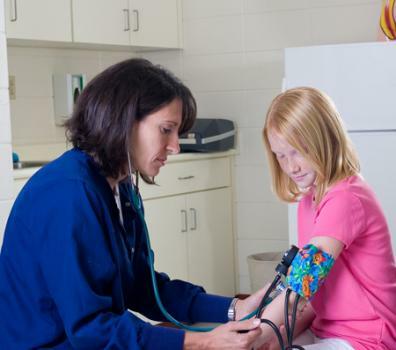 The Endowment Education Scholarship is for professional registered school nurses or school nurse educators pursuing post baccalaureate certification or graduate degrees. The Advocacy Education Scholarship is for school nurses participating in an advocacy education program. The RN to BSN Education Advancement Scholarship is for registered nurses employed in schools to advance their education. The New Member Scholarship is for a new, active member attending the NASN annual conference. How do I obtain Sight for Students gift certificates for my students? NASN members must use the online enrollment form to enroll in this program with VSP Vision Care. What is the correct way to list my nursing credentials? NASN recommends highest earned degree, mandated requirements (i.e. licensure), state designations or requirements, national certifications, awards and honors, other certifications. If highest earned degree is not in nursing, then highest nursing degree may be included after highest earned degree. Example: MEd, BSN, RN, APN, NCSN, FNASN. You can join online with a credit card using the online membership application. You can also join by print mail using other forms of payment and a printable application. How much does it cost to join OASN and NASN? The cost is $155.50 / year for an Ohio LSN, RN. Can I pay with a purchase order? Yes. When paying membership dues with a purchase order, print a copy of a membership application and send it to NASN with the purchase order. No. However, you may want to reach out to community organizations such as Lions Clubs and Parent Teacher Organizations for support. Does OASN/NASN provide information on its members? Yes. NASN does rent member names and mailing addresses to carefully screened companies and organizations which offer items that may be of interest in the profession of school nursing. Members may opt out of this list when they initially join and anytime thereafter by contacting NASN. Copyright 2019 Ohio Association of School Nurses. All rights reserved.